I’m sure I should be writing to catch up, comment on your article about unalienable rights, and such. Well, I’m not. I’ve hit a wall in my progress and have nothing to write, other than thank you for your efforts! Everything you said is true, I do feel entitled at times, based on what I envision my friends get. I envision my friends get……, so I think it’s unfair that I don’t. Or I can’t live with the fact that my husband may get ……., it’s irrational, I know, now that I’ve realized that, it may help with the struggle. I’m focusing now more on being calmer, as that was an issue I wrote to you about a few months ago. I am trying not to snap at my kids, or worse, I have one kid in particular who needs control of all situations, and it’s very hard on me to be patient, I am very spontaneous, and she needs things to be laid out in advance. Changes from school to summer vacation are also very hard on her. I sometimes wonder if self-help stuff isn’t enough and I need (more) therapy to deal with my childhood baggage. Your email addresses two topics. However, there’s a third topic, which isn’t addressed, but is alluded to, and I’d like to respond to all three topics. People sometimes dedicate years of their lives attempting to change one, or more, of their character traits. When they don’t “feel” success, and become accustomed to defeat, they lose the energy to fight on, although they don’t give up. Below are my personal experiences with “fighting on”, despite feeling that I’m not “getting anywhere”. I’ve found that every time I “battle” to correct a bad trait, whether it’s nail biting, or impatience, even when I lose, it “wears down” the negative trait that I’m confronting. If I continue the process, and even if I continue losing, I eventually change my nature for the better. It may take weeks (for the bad traits in which I’m not totally invested in retaining), months (for the average bad traits that I continue to embrace), or years (for the really “good” bad traits). People should remind themselves that every “loss” isn’t really a loss, but it’s a subtle “chipping away” of the “enemy”. When it’s combined with consistency, even when they result in additional “losses”, they’ll all contribute to the subsequent victory, and they’ll have more energy to continue to fight. I have no doubt that you’re chipping away at your negative traits, despite your belief that you’re failing. Keep at it. Your first point was your continued focus on how others are enjoying something, even as trivial as an extra ten minutes of sleep, (as you mentioned in your email), to which you don’t have access. You need to train yourself to react differently, in order to combat those instinctive thoughts with deliberate ones. The deliberate thoughts should counter the validity of the instinctive ones. I think we spoke about this previously. Please let me know and I’ll elaborate on this point. In order to stop being jealous of other people’s privileges which aren’t available to you, you’ll have to know from where this feeling of unfairness emanates. I’ve found that people who believe that they didn’t have a “healthy”, childhood, or teenage years, also believe that they never had the opportunity to experience what everyone else has experienced. They believe that they’re always “losing out”. To continue this belief they look at others in a vacuum. For example, someone who’s lucky enough to get an extra ten minutes of sleep, may have many other burdens. The friends who’ve beautiful clothing, may have medical, or other issues, of which you don’t know. In other words, to believe that you’re “losing out”, you have to focus on that single area in which you believe you’re losing out, to the exclusivity of all others. If you focus on the other areas of people’s lives, as well as your own, you’d realize that life is a “mixed bag”, in which each person’s life reflects advantages, and disadvantages, over the lives of others. The result is that all people are more, or less, fortunate, than their peers. If some people seem to be more blessed than others, it may be due to their personal decisions. They may have chosen to live a life that’s not complex, and offers fewer opportunities to be angry, and/or disappointed. They may have chosen to live a life in which they’re proactive, a life in which they always try to feel accomplished. They may consistently choose their good fortune; it isn’t given to them. Being aware that everyone’s life is a “mixed bag” will achieve something even more profound. Since you won’t be able to keep score of what’s inside everyone’s mixed bags, it’s not worthwhile to look at them. Many people believe that I’ve had a lucky life, but they either aren’t aware of, or ignore, many aspects of my life. Others consider my life difficult, but forget, or are unaware of, the fortunate parts of my life. The reality is that no one knows everything about me, and any assessment, or comparison, is faulty, and serves no other goal than to confuse, draw erroneous conclusions, and divert people from my personal life. You mentioned a goal of being calmer, and less impatient, with your children. Welcome to “the club”. Most people need to work on this. While other people may seem to be better at this than you are, the difference is only in degrees, and not between good and evil. It’s possible that you’re comparing their behavior in public to yours in private, which is clearly not a fair comparison. You may want to focus on how you act, and not on how you think and perceive life. Some people consider focusing on actions as a vacation from dealing with all the “noise” in their heads. This may be an easier challenge than changing the way that you think. However, make certain that you’ll be satisfied with incremental, consistent, improvement, as success, because insisting on an all or nothing change will hinder your growth. I’d like to respond to your comment that, “I sometimes wonder if the self-help stuff is enough”. You may need more therapy, and maybe also medications. These may take the “edge” off, and allow many of the messages you agree with in concept, to internalize. Often the medications will be short term, until you let those messages become a part of your thought processes. Once this has been achieved, you can wean yourself off the medications. Whatever you do, make a decision to wake up with the energy to tackle the day, acknowledge your small victories, and fight every day, even if it seems that you’re always defeated. Many people are driven to do Mitzvos in their search for greatness. Some of those people are sincere, others are, mostly, interested in receiving recognition. The vast majority of people who strive for greatness, even when they do it sincerely, believe that those acts must be “high profile”, so that they’ll be recognized by others. This Parsha teaches us that this isn’t necessary to receive recognition. 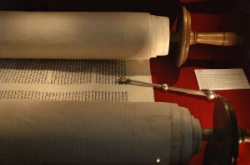 There are two acts of greatness profiled in this Parsha. The first is Pinchas’s act against Zimri. Pinchas certainly performed a “high Profile” act as, in front of everyone, he made a Kiddush Hashem, and protected Klal Yisroel from Hashem’s retribution (in Parshas Bolok). Many people visualize their rise to greatness as acts that will be recognized by everyone. If they aren’t, they’ll conclude, that it wasn’t greatness. However, there is a second act of greatness that is also mentioned in this Parsha, and this time it didn’t draw any attention. The daughters of Tzelafchad loved Eretz Yisroel. They asked Moshe Rabbeinu to give them their father’s portion of Eretz Yisroel. They asked, respectfully, and privately. Their actions weren’t recognized by the nation; and they probably never expected them to be, but they were recognized by Hashem. Many people love the high profile approach of serving Hashem, but the most common, and expected profile, is the subtle, boring, daily acts that Hashem asks of people. This may not bring any recognition from people, and won’t make them feel like heros, nevertheless, Hashem will see them as heros, and that’s what is important.